For Sale By Owner: Taking appointments beginning Sunday, March 3rd ! Turn Key Horse Set-Up with 8 Stall Barn for Your Horses or 4H Projects! Riding/Roping Arena, Round Pen, 2 Corrals with Shelters. Rotational Grazing with Entire Property Fenced and Cross Fenced, 4 Hay Producing Manicured Pastures, Awesome Producing Well with 3 Outside Frost Free Hydrants ( in barn, at corrals and at pump house) with Unique and Hard to Come By Rights for Irrigation and Livestock Watering. The Yard is Plush and Landscaped including a Rock Firepit Ready to Light Up the Night, Wrap Around Deck in the Back, and Front Porch with Tin all Created to Parallel The Ranch Atmosphere. The Garage is 1244 sq. ft. Double Deep! Complete With Floor Drains and Rough In Plumbing. Above the Garage is a 700 Sq. Ft. Fun Finished Bonus Room for Recreation/Hobby with Antique Wood Cook Stove. 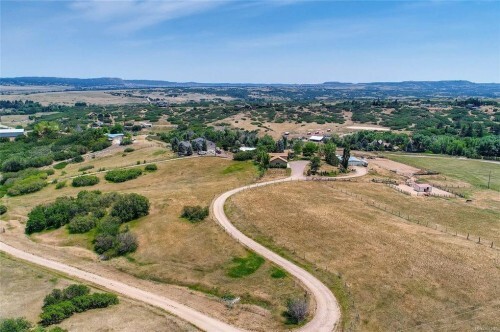 The Property is One Mile off of Main Road - End of the Road Privacy and Next to Established (63 years) 280 Acre Private Retreat as an Awesome Buffer. 2018 brought Tigerwood Flooring upstairs and a Remodeled Kitchen with Stainless Appliances including New Maytag Range and Dishwasher and Beautiful Custome Granite Counter Tops. New Septic System Installed November of ’18. The Home has Energy Efficient 6" Walls, Pella Double Pained Windows and Doors and a Natural Gas Fireplace. The Walk out Basement Includes a Mud Room, Laundry Facilities, Pantry, 2 Large Walk In Closets and a Full Bath to Accompany an Intimate Master Suite. MUST SEE! !